Greetings from the Inaugural Student Experience Conference in Sydney, where Professor Doug Hargreaves, Science and Engineering Faculty, QUT is speaking on "Enhancing the student experience through collaborative learning spaces". 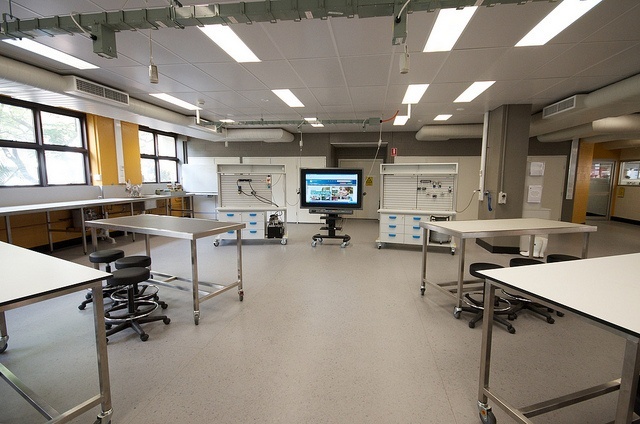 Doug described how the new Engineering Studio and Teaching Space at Queensland University of Technology has the equipment on wheels. Gordon Howell, Manager Learning Environments Support at QUT showed me an early version of some of this equipment in 2009. QUT has a room called "The Forum" (P419), intended for debates.This looks to me like an extravagant use of space with an inflexible design. What would be preferable is a standard, square, "TEAL room", with tables on on wheels and walls which can be projected or written on. The furniture could then be arranged to this forum format, when needed. But tables could be rearranged for group work, or a traditional lecture.